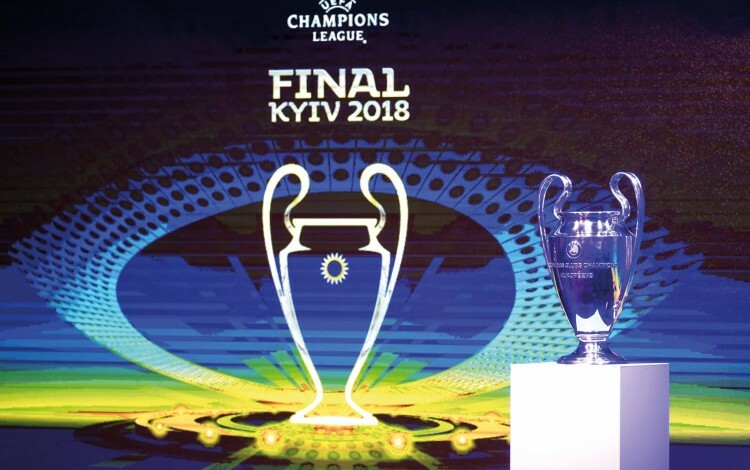 CHAMPIONS LEAGUE FINAL: Will Ukraine use 2018 UEFA showpiece in Kyiv to debunk Russian disinformation efforts? Which international organization has done the most for independent Ukraine? Many would opt for the EU, the UN, or perhaps even the IMF, but European football’s governing body UEFA also deserves serious consideration. UEFA’s first major contribution to Ukraine’s international emergence was the decision to award the country the right to co-host Euro 2012. It was a massive risk on UEFA’s part but it paid off handsomely, putting Ukraine on the map and denting a wide range of negative stereotypes. UEFA’s surprise choice of Kyiv for the 2018 Champions League Final could be even more important for Ukraine, providing the country with a global stage just when it needs it most. The Kremlin’s hybrid war against Ukraine has depended heavily on large doses of disinformation, with one of Russia’s key themes being the portrayal of Ukraine as a failed state. The goal is to discredit Ukraine internationally, leaving the country isolated from potential partners and vulnerable to further Russian aggression. To a significant degree, these efforts have succeeded. While many observers are sympathetic to Ukraine’s current plight, images of war, corruption, poverty and chaos continue to dominate outside perceptions. Ukraine has admittedly been slow to defend itself against Russian information attacks, but it was always likely to be an uphill struggle. Kyiv simply lacks the clout and the credibility to counter the Kremlin’s impressive global reach, and has often found itself hopelessly outgunned by the vast network of financial, diplomatic and academic resources available to Moscow. Exposing Russian fakes is futile if the debunking reaches less than 1% of the audience who swallowed the original lie. Rather than going head-to-head with the Kremlin’s troll armies and allowing Moscow to set the information agenda, Ukrainians must try to promote alternative narratives of their own. Luckily, there is no shortage of material. The current struggle against Russian imperialism contains the kind of drama more commonly encountered in Hollywood blockbusters, but the sheer scale of the issues involved could prove too overwhelming for the wider audiences Ukraine needs to reach. Instead, it may actually be smarter to emphasize the everyday appeal of the country as both a partner and as a destination for tourism and business. Despite the overwhelmingly grim headlines and hybrid war hyperbole, more than 90% of Ukraine remains conflict-free and safer than most major European cities. It is a fascinating and friendly place where international visitors will encounter increasingly impressive service standards and fantastic value for money. This lesser known side of Ukraine will be center stage when the Champions League Final comes to Kyiv. The match itself will take place on 26 May and will attract a global TV audience numbering hundreds of millions. More importantly, the world’s media will descend on the Ukrainian capital in the week preceding the match and will be hungry for additional stories to help justify the trip, presenting Kyiv with a priceless platform to sell itself as the vibrant heart of a new and exciting European nation. This should not be beyond the realms of possibility. After all, there are few places more aesthetically appealing that blossoming Kyiv in late May, while the city’s hipster vibe and post-Maidan cultural awakening are a feature writer’s dream come true. The 2017 Eurovision Song Contest offered a taste of Kyiv’s ability to impress visiting journalists. It is now up to the Ukrainian authorities and the Kyiv community to make sure the 2018 Champions League Final is an even greater triumph. Ukraine cannot hope to defeat Russia militarily or drown out Russian disinformation, but it can alter the equation by telling its own story in an engaging manner. UEFA has given Ukrainians a golden opportunity to do just that.